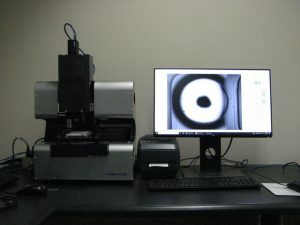 In August 2018, we installed Formulatrix Rock Imager 1 at the XRF. Rock Imager 1 captures images of various 96-well format crystallization plates. Rock Imager 1 has a single beam path but allows for both UV and visible imaging one after another. The images are gray scale and the instrument can image many different format plates. Updated: Friday, August 10, 2018.